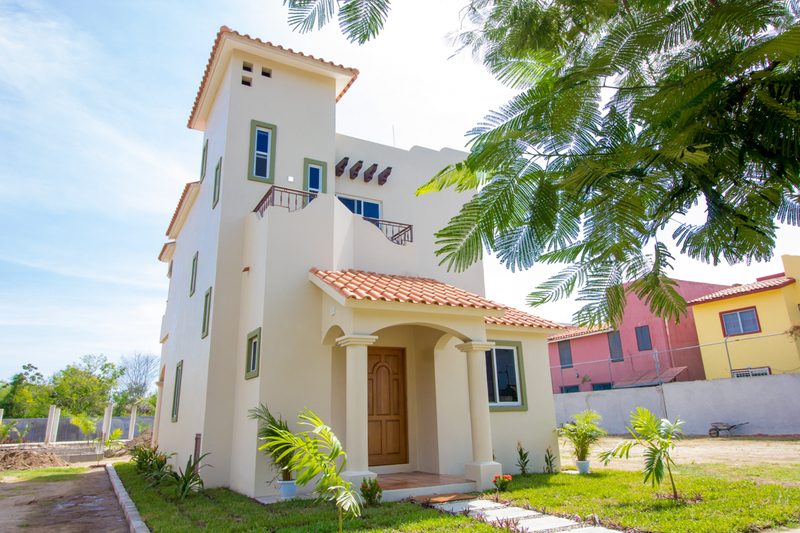 Do you dream of owning an affordable, free standing, single family home that is close to everything in Huatulco? Look no further, Bayside Real Estate Huatulco is pleased to be offering Blue Bay Casas located in Chahué, Huatulco. Find open living spaces, luxury Mexican contemporary finishing, high ceilings that lead out to a large covered terrace with options to add more sunny patio space. 2 bedrooms and 2 bathrooms fill out the 2nd floor with a cozy rooftop terrace for some added sunning yourself privacy. 3 bedroom floor plans available upon request. Walk to everything from this amazing development, minutes distance to the beach, restaurants, supermarkets, downtown and much more.Enjoy the shared palapa, pool, lots of green areas and private parking.